As the end of the year approaches, it’s likely there are multiple meals and parties in your future. Carrying food from one location to another and sharing dishes with a crowd means more opportunity for bacteria to grow and cause food poisoning. Whether you’re an experienced cook, a first-time party host, or simply adding a dish to the potluck lineup, the holidays can make even the most confident chefs nervous. To help keep your holiday season healthy, the U.S. Department of Agriculture’s (USDA) Food Safety and Inspection Service (FSIS) is issuing food safety recommendations on how to protect yourself and your family from foodborne illness. If you have specific food-safety questions this holiday season, you can call the USDA Meat and Poultry hotline at 1-888-MPHotline (1-888-674-6854) or chat live with a food-safety specialist at AskKaren.gov. These services are available from 10 a.m. to 4 p.m. (EST), Monday through Friday, in English and Spanish. Use separate cutting boards for raw meat and ready-to-eat items such as vegetables or bread. Prepare uncooked recipes before recipes requiring raw meat to reduce cross-contamination. 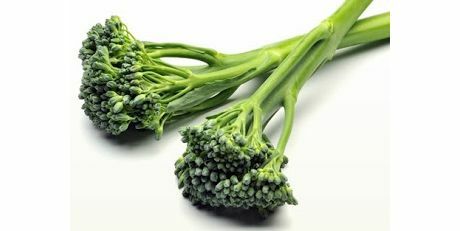 Store them out of the way while preparing meat dishes to ensure that they don’t become contaminated after preparation. Use a meat thermometer to check the internal temperature of dishes to make sure they are fully cooked and safe to eat. Fresh beef, pork, veal, and lamb should be cooked to 145 degrees F with a three-minute rest time; fish should be cooked to 145 degrees F; ground beef, veal and lamb should be cooked to 160 degrees F; egg dishes should be cooked to 160 degrees F, and all poultry should be cooked to 165 degrees F.
Keep hot foods hot and cold foods cold by using chafing dishes or crock pots and ice trays. Hot items should remain above 140 degrees F, and cold items should remain below 40 degrees F.
Use several small plates when serving food. Discard perishable foods left out for two hours or more. To ensure the juiciest possible roast this holiday, use a meat thermometer. Once it has reached the USDA recommended internal temperature of 145 degrees F, the roast is safe to eat. Remember that all cuts of pork, beef, veal, and lamb need a three-minute rest time before cutting or consuming. Citrus from northern Chile enjoys an early season but drought has made production difficult. For some, the biggest benefit of Thanksgiving is the leftovers. That’s especially true for the cooks of the family, who know that the leftovers from Thursday’s dinner will give them a break from the kitchen on Friday. But before you dig in to the refrigerated turkey and mashed potatoes, consider some food safety advice from us at Food Safety News. Hot foods need to be refrigerated within two hours of exposure to room temperature to minimize the amount of time they’re held within the danger zone, the range of temperatures at which bacteria easily grow. Bacteria grow most easily between 40 and 140 degrees F (4.5 to 60 degrees C). Make sure that all of your leftovers have been taken out of that range within two hours by either refrigerating them or hot-holding them above 140 F. Throw away anything that’s been held at room temperature for more than two hours. Once in the fridge, your food needs to cool below 40 degrees F rapidly, and that usually requires dividing food into shallow containers. The smaller the portion size, the faster it will cool in the fridge, and you’ll avoid having the centers of food portions linger in the danger zone for hours. Pay attention to how long foods have been stored in the fridge and freezer. According to foodsafety.gov’s handy chart for safe storage times, cooked poultry is good for 3-4 days in the fridge and 2-6 months in the freezers. You should reheat leftovers to 165 degrees F. When in doubt, stick a food thermometer into the center of the food to check. Soups, sauces and gravies should be brought to a boil. When possible, stir foods during the reheating process. Let foods stand for a few minutes after taking them out of the microwave so that heat can continue to redistribute. Frozen leftovers can be thawed in the refrigerator, in cold water, or in the microwave. The refrigerator is the safest way, but it’s also the slowest. When thawing leftovers in cold water, place them in a leak-proof package or plastic bag and change out the water every 30 minutes to speed up the thawing process. Find more specific tips in our sidebar on the right-hand side of this article, and enjoy those leftovers. The fruit and vegetables sector continues launching new ideas into the market. New formats, packaging or varieties aim to find a place on the shelves, focusing on values ​​such as convenience, health or ecology. The Pasarela Innova will be an interesting opportunity to see the fruit and vegetable varieties marketed over the past two years. The event will be held from 15 to 17 October at Halls 3 and 5 of IFEMA, as part of the fair Fruit Attraction. Visitors will be able learn more about innovative proposals such as Easyqs, of the company Agroiris; a new cucumber format, of smaller size, for consumption in a single use. 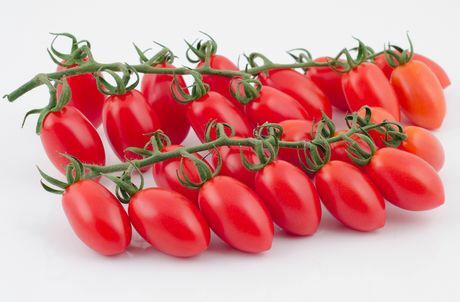 For its part, Caparros Nature will showcase its pear cherry vine tomato Lobello; it stands out for its deep red colour and very sweet taste. It is sold in three kilo boxes and convenient 250 gram cups. 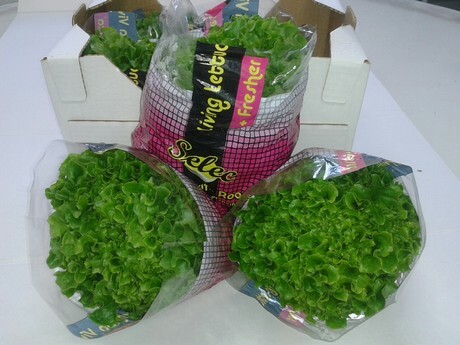 Endinava’s most surprising product is a tricolour hydroponic lettuce; a very attractive product consisting of three types of lettuce (Lollo rosa, Lollo Bionda and Red oak leaf), grown and packed together, so they appear to be a single lettuce. They are sold with roots included and they are thus living products, considerably extending their shelf life. In the most innovative fruit and vegetable market there is also room for new vegetables like Bimi, a natural hybrid between broccoli and Chinese cabbage, supplied by the company Sakata Seed Ibérica, or Natural Crunch’s crunchy oranges, with a surprising texture. As for cooked dishes, the most noteworthy are the recipes made ​​from fresh vegetables offered by the brand El Huertico Gourmet, of Huerta de Peralta, as well as the cooked mushrooms from Neofungi, ready to heat and eat. But not everything presented are product innovations, there is also room for on-line tools like FruitBull; a website that provides data on prices of over 100 varieties of fruits and vegetables, greatly facilitating buying and selling in the fruit and vegetable market, and which the company constantly updates in real time. Additionally, Pasarela Innova will also be a stage for the presentation of a new fruit and vegetable exhibitor created by Smurfit Kappa Spain and Portugal, which is intended to promote the consumption of these foods in supermarkets. America’s former egg king is not going to jail, according to his defense attorneys from Sidley Austin LLP in Washington, D.C.
Jack Decoster, left, and his son, Peter DeCoster (right). This basic move Volpe took to keep his client out of jail comes as no surprise. The defense team announced in June that they planned to raise constitutional arguments to keep DeCoster unconfined. However, the legal case they are making is just as murky now as it was in June. That’s because, so far, U.S. District Judge Mark W. Bennett has allowed DeCoster’s attorneys to keep their legal theories secret. Bennett plans to make Volpe’s “Memo in Support of Unconstitutional Confinement” public on Oct. 15 unless the defense attorney can persuade the judge to again keep it under seal. DeCoster and his son, Peter DeCoster, 51, are currently free while they await sentencing. They both pleaded guilty on June 3 to one federal misdemeanor count each of adulteration or misbranding. Quality Egg LLC, a DeCoster family trust, pleaded guilty to two of the misdemeanor counts and to one federal felony of bribing a public official. All the charges stem from an investigation into the 2010 Salmonella outbreak that brought the recall of a half-billion eggs from two DeCoster-owned egg-production facilities in Iowa. Both men and the trust have plea bargains with the government, which, at a minimum, require Bennett’s signoff at sentencing. The defendants have agreed to fines totaling $ 7 million, with the majority — $ 6.8 million — to be paid from the trust. But getting to sentencing has turned complicated. In addition to the constitutional arguments, the defendants and the government are disputing contents of the Presentence Investigative Reports, which are also sealed. The government has suggested consolidating the sentencing hearings for the three defendants so any testimony heard would not have to be repeated. While defense attorneys for Peter DeCoster have no problem with that, Jack DeCoster’s team objects. They are getting to make their arguments, also under seal. A restaurant owner in Shaanxi Province has admitted to secretly infusing his noodles with poppy shells (from which opium is made) in order to keep diners coming back. The plan was reportedly working until he got caught. Police began their investigation after one repeat customer tested positive for opiates in a routine urine test and landed in prison for drug use. The doses the restaurant owner used were high enough to addict consumers over a long period of time. But this isn’t an isolated event. Restaurants all over China have been found to use morphine, codeine and narceine — all obtained from opium — as the “secret ingredient” in their foods. 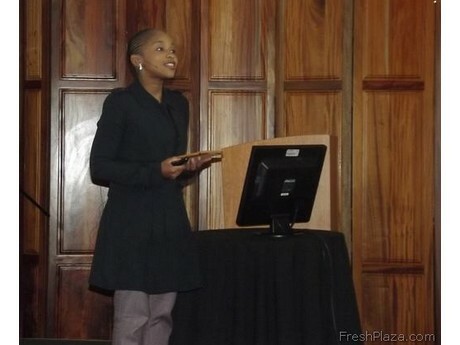 Last week’s PMA Fresh Connections Southern Africa, enjoyed the participation of Lynette Ntuli, founding director and executive lead consultant at the property asset and infrastructure development solutions firm Innate Investment Solutions. Lynette spoke at the Woman’s Fresh Perspective Breakfast, held in honour of Woman’s Week. Lynette was the first South African woman to become GM of a super-regional shopping centre; she is CEO of the Durban Business Enhancement Initiative and founding director and chairman of IgniteSA.com. Lynette is a World Economic Forum Global Shaper and Founding Curator of a South African hub. “We appreciate being able to come together and discuss an industry that is so critical to the growth of economies, not just in this country, but globally. It is important for us to connect, which is why we are all here at this Fresh Summit,” affirms Lynette. It has been estimated that 73% of the land in South Africa is not used correctly by the agricultural sector, “and there in itself lies a significant opportunity for the acceleration of our economy and for that of the communities around that land,” says Lynette. Whether you’re rooting for Argentina or Germany in the World Cup final on Sunday, make sure that your match-viewing is penalty-free by following the U.S. Department of Agriculture’s food safety advice. The agency has even made the eye-catching graphic below to help you out. Unless you are the goal keeper, using your hands is not permitted in soccer. The same goes for food handling in order to keep everything safe. Before and after preparing or handling food, always wash hands with soap and warm water for 20 seconds. Use clean platters to serve and restock food, and keep surfaces clean. Avoid cross-contamination by keeping raw meats separate from other foods. Make sure raw meats do not come in contact with other foods on the buffet. Never place cooked food back on the same plate that previously held raw food unless the plate has been first washed in hot, soapy water. Always use a food thermometer to make sure meat and poultry are cooked to the right temperature. Color and texture are not indicators of doneness. Ground beef should be cooked to 160 degrees F, poultry should be cooked to 165 degrees F and steaks should reach a 145 degrees F, with a three-minute rest time. Keep hot food hot and cold food cold. Bacteria multiply rapidly between 40 degrees F and 140 degrees F. Do not keep food on the buffet at room temperature for more than two hours. Hot foods need to have a heat source to keep them out of the danger zone, and cold foods need to be nestled in ice to remain safe for guests. When in doubt, throw it out. Replenish with fresh servings. As USDA says, when it comes to food safety, there are no yellow cards, only red ones. If you have any burning questions concerning food safety, USDA’s virtual representative, “Ask Karen,” is available at AskKaren.gov. Food safety experts are available Monday through Friday from 10 a.m. to 4 p.m. EDT at the USDA’s Meat and Poultry Hotline, 1-888-MPHotline (1-888-674-6854). Letter From the Editor: Keep the Libraries Open! The Rogue River counties of Jackson and Josephine in Oregon were for years what they called “timber counties,” running their local public services with federal money paid “in lieu” of taxes. Drastic reductions in federal timber harvests were occurring about the time the whole economy tanked. Not that the target of this voter-imposed destruction isn’t going to fall entirely on the rural population, which woke up on the losing side of the organic industry’s most recent campaign for more Lebensraum. The state’s biggest newspaper, The Oregonian, captured that with the story of 51-year old Bruce Schultz, who says that his family’s fourth-generation, 250-acre farm will likely go bust if they have to plow under its genetically engineered alfalfa. It’s not often that local voters freely commit economic suicide, but that’s what might have occurred in these two Oregon counties. Start with the fact that they were barely making it before the vote, if, as it appears, they’ve done enormous economic damage to a majority of their farmers and the Jackson/Josephine futures market doesn’t look so good. The irony is that it’s such an unlikely place to call in this kind of destruction. Jackson County contains 1,793,280 acres and Josephine County holds 1,050,880 acres, but less than 12 percent of Jackson and less than 3 percent of Josephine is dedicated to agriculture. Half the land is locked up by the federal government and pays nothing for local services unless federal timber is cut. The just-published U.S. Census of Agriculture containing 2012 data showing farming on 214,674 acres in Jackson County and on 28,256 acres in Josephine County. Only 1,722 farms are located in Jackson County and just 617 in Josephine County. Most are small farms like the one owned by Mr. Schultz. But there is not enough farming to really call the Rogue River country farm country. Farmers are part of the economy of these California border counties, but this is not Iowa. Indeed, it’s unlikely there was any dispute occurring between GMO and non-GMO farmers over contamination issues or whatever. No tort claims pending. Pretty much the same thing a USDA task force concluded — at the local level, farmers get along and work things out with their neighbors. There does not appear to be any statistical evidence of big rifts down on the farm in these counties that the voters would have needed to work out by executing one side or the other. The new U.S. Census of Agriculture says there are only 31 Jackson County farms enlisted in USDA’s National Organic Program, and only 26 in Josephine County. Another 11 farms in Jackson and an additional 12 farms in Josephine are involved in organic production that is exempt from certification. And there are 12 farms in Jackson and three in Josephine that were transitioning acres to organic production in 2012. In other words, the latest data suggest about 4 percent of the 2,339 farms in the two Oregon countries are organic. Now I know there are farms that are not organic but that do use GMO seeds. And while I don’t know what that number is in the two counties, there does not appear to be much sign of conflict between the various farming practices. Commercial fertilizers were being used on 466 farms in Jackson County and 185 in Josephine County, another sign of the dominance of non-organic in the two counties. Farmers of all kinds, of course, are a minority when it comes to various voting blocks. These two counties — there are about 200,000 people in Jackson and about 82,000 in Josephine — voted to shut down the agricultural practices used by most of their farmers. It should be noted that only Jackson County, which got its ballot question going earlier, is exempt from a new Oregon law asserting statewide jurisdiction over seeds. Perhaps Josephine, without enough money to keep its libraries going, can do as Vermont is doing by raising money with a tin cup for the inevitable lawsuits. The organic industry succeeded in voting conventional agricultural “off the island” with the usual scare tactics about GMOs aimed at city voters, not because of any “tipping point” occurring in local farming. In fact, it does not appear the farms had anything to do with it. We shouldn’t be surprised, however. Back in the day when they closed the libraries, the dark ages followed. Defense attorneys have long known that damaging email traffic from their clients could be very useful to the prosecution in the upcoming criminal trial involving former executives of the Peanut Corporation of America (PCA). But there is one particular email, now under seal, that Stewart Parnell has managed to keep from the public for most of the past year and that he now wants to keep from the jury. Defense attorneys and government prosecutors have decided to draw their lines in the sand over this one email that Parnell says “is highly prejudicial” to his case. Parnell wants this email kept under seal by the U.S. District Court for the Middle District of Georgia and away from the jury in the coming trial of PCA executives. The former president of the now-defunct peanut processing company and two other defendants are scheduled for a July 14 jury trial. They are charged with a total of 76 federal felonies, including fraud and conspiracy, obstruction of justice, and the introduction of adulterated and misbranded food into interstate commerce. Federal prosecutors want to use the email as evidence at trial, and, in a recent “response in opposition,” they say that Parnell has not come up with a good reason to keep the email away from the public. Dasher also quotes from findings of the U.S. Court of Appeals for the Eleventh Circuit that a “public right of access” is critical to the operation of the federal courts. Just as civil and criminal cases should be tried in public, Dasher says there is a common law right of access to the court’s public records. The sealed email is known as 404(b) evidence, defined in the Federal Rules of Evidence as that which involves a crime, wrong or other act that may have never resulted in an arrest, prosecution, or conviction and may not even be criminal. Among the reasons 404(b) evidence may be admissible are: motive, opportunity, intent, preparation, plan, knowledge, identity, and absence of mistake or accident. Parnell’s many caustic emails were one of the early ways the public came to learn about how PCA’s business practices might have contributed to the 2008-2009 Salmonella outbreak that was linked to the company’s products. His “turn them loose” email was first disclosed five years ago by the U.S. House Subcommittee on Oversight and Investigations. A staffer’s email had asked Parnell what to do with peanut products initially found to be contaminated, and that was his reply. Another email Parnell might like to keep under seal was his response to his 2007 quality assurance manager, who emailed the boss to ask for permission to purchase from overseas a $ 600 piece of used equipment for PCA’s lab for microbiological testing. In addition to wanting to keep the one email sealed, attorneys for Parnell have asked federal Judge W. Louis Sands to ban any mention of illnesses or deaths resulting from the Salmonella outbreak and allow an expert witness to testify at trial that their client suffers from Attention Deficit Hyperactivity Disorder (ADHD). Parnell is being tried with his brother Michael, former PCA vice president and peanut broker, and Mary Wilkerson, who was the company’s quality assurance manager. About 700 illnesses and nine deaths were blamed on the outbreak by the U.S. Centers for Disease Control and Prevention. Knowledge is a powerful thing, especially where it comes into play in a federal criminal case. A new dispute has erupted between government and defense lawyers in the pre-trial proceedings involving former Peanut Corporation of America chief executive Stewart Parnell’s all-over knowledge. Government prosecutors say Parnell’s defense attorneys have misstated the law regarding whether knowledge is an essential element of any of the offenses charged, and that they should get a “surreply” or sort of a legal do-over, in their arguments against allowing an expert witness at trial. Defense attorneys say that a surreply is not necessary and point to nearly seven hours of testimony, a 197-page hearing transcript and 193 pages of exhibits as enough. “In total, the government, not the defendant, has created 433 pages of argument and evidence on this issue for the defendant and this court to review,” E. Scott Austin, Parnell’s lead attorney says. “If the government has not yet had the opportunity to make its argument on this issue clear, then one would be hard-pressed to imagine a scenario where the government could make its argument,” he added. The pre-trial issue is whether Dr. Joseph C. Conley, Jr., the neuropsychologist who claims Parnell suffers from Attention Deficit Hyperactivity Disorder (ADHD) should be allowed to testify as an expert at trial. That jury trial, scheduled to get underway this summer, is supposed to decide whether Parnell is guilty or not guilty of 72 federal felony charges stemming from an investigation into the 2008-2009 Salmonella outbreak involving peanut butter and peanut paste from PCA plants in Georgia and Texas. Charges include conspiracy, introduction of adulterated food into interstate commerce with intent to defraud or mislead, introduction of misbranded food into instate commerce with intent to defraud or mislead, instate shipments fraud, wire fraud and obstruction of justice. The outbreak involved 700 illnesses and nine deaths. Government attorneys want to make additional arguments over the expert witness issues because they claim Parnell’s attorneys committed a “misstatement of law” by saying for the first time that “knowledge is not an essential element” of any of the offenses charged against Parnell. They filed a motion with U.S. District Court Judge W. Louis Sands asking to brief the issue because it had not been raised earlier by the defense. The motion states that knowledge is a required element for most of the crimes of which Parnell stands accused. Parnell and three other former executives of the peanut processing company were indicted in February 2013 on a total of 76 federal felony counts. All four defendants are free on bail and to assist in their own defense. Stewart Parnell’s brother, Michael Parnell, PCAs former vice president and peanut broker; Samuel Lightsey, PCA’s Georgia plant manager, and Mary Wilkerson, the quality control manger, are the other three defendants. The three have been on the sidelines while Sands, the trial judge, conducted pre-trial “Daubert” proceedings over Conley’s status. Expert witness proceedings are named for “Daubert v. Merrell Dow Pharmaceuticals,” a precedent-setting case on expert witnesses. April: Hearing for other pre-trial motions is April 30. June: Responses to motions in limine will be due June 9, and replies must be turned in by June 19. A June 24 pre-trial hearing will be held for Sands to hear arguments on the start-of-trial motions. Sands wants the attorneys to meet regarding exhibits on June 25. July: Attorneys must propose voir dire questions for the jury and jury instructions by July 7. If all of this stays on the tracks, the jury trial will begin on July 14. A former colleague at Kansas State University asked me yesterday if I would deliver my annual talk with summer public health students despite being unceremoniously dumped last year. I said, “Sure, I’ll always talk with students: they shouldn’t have to suffer from administration incompetence.” (I pre-record the talk, send a bunch of background material and then Skype in for discussion; it works for most of the world, just not Kansas administrators). But I also had to wonder when Kansas State announced they were proposing a $ 60-million partnership with AIB International (that’s the American Institute of Baking, also in Manhattan, KS) to create a Global Center for Grain-Based Foods. What marketing geniuses come up with these names? “We are looking at our shared expertise to help enable the grain-based food industry, both from a learning/technical application, and from a food safety perspective,” said Andre Biane, president and CEO of AIB International. Having AIB and food safety in the same sentence should shock anyone. AIB is the third-party auditor that approved Salmonella-tainted peanut paste that killed nine and sickened 600, gave DeCoster egg operations a “superior” rating and “recognition of achievement” in June 2010, just as thousands of Americans began barfing from Salmonella in DeCoster eggs, and a big thumbs-up to Veggie Booty before Salmonella started making people sick. As has been documented, although AIB considered the Peanut Corporation of America plant “Superior,” Nestlé twice inspected PCA plants and chose not to take on PCA as a supplier because it didn’t meet Nestlé’s food-safety standards, according to Nestlé’s audit reports in 2002 and 2006. I also wonder when the KState administration goes on about its Australian ties and clearly knows nothing about the culture here, even with two former KState profs sitting here. Keep believing your own press releases: it’s what universities are good at. Internal and external food safety audits are conducted to assess the safety and quality of food, including on-farm production, manufacturing practices, sanitation and hygiene. Some auditors are direct stakeholders that are employed by food establishments to conduct internal audits, while other auditors may represent the interests of a second-party purchaser or a third-party auditing agency. Some buyers conduct their own audits or additional testing, while some buyers trust the results of third-party audits or inspections. Third-party auditors, however, use various food safety audit standards and most do not have a vested interest in the products being sold. Audits are conducted under a proprietary standard, while food safety inspections are generally conducted within a legal framework. There have been many foodborne illness outbreaks linked to food processors that have passed third-party audits and inspections, raising questions about the utility of both. Supporters argue third-party audits are a way to ensure food safety in an era of dwindling economic resources. Critics contend that while external audits and inspections can be a valuable tool to help ensure safe food, such activities represent only a snapshot in time. This paper identifies limitations of food safety inspections and audits and provides recommendations for strengthening the system, based on developing a strong food safety culture, including risk-based verification steps, throughout the food safety system. For an average-sized farm of 4000 hectares, this could mean an almost $ 500,000 loss to disease per year — or about $ 212 million worth of damage to the wider Australian agricultural industry. “Our finding will help breeders produce crops in which disease losses are 60 to 80 per cent lower, and would be a real win for farmers — they will often be able to avoid using foliar fungicides,” Professor Oliver said. “Before now, breeding for resistance to Yellow (Tan) Spot and Septoria Nodorum Blotch was very time-consuming — no molecular markers were in use. The key has been to supply breeders with specific proteins (we call them effectors) that the fungi use to cause disease. “For the first time, our technology allows for a steady and sustained improvement in disease resistance without affecting the farmer’s pocket. “Previously geneticists would infect plants that were progeny of crosses between relatively resistant and relatively susceptible parents before doing the QTL (quantitative disease-resistance gene) mapping. But as disease resistance is multifactorial due to the several effector reactions, the QTL mapping was always a bit fuzzy and was therefore never passed on,” Professor Oliver said. The above story is based on materials provided by Curtin University. Note: Materials may be edited for content and length. Usually the Washington Legislature will steer clear – at least for a while – of a topic voters have settled in a recent initiative. That unwritten rule might ordinarily keep bills for labeling genetically modified food off the table for a while since voters narrowly nixed that idea in deciding against Initiative 522. House Bill (HB) 2143, calling for labeling genetically engineered salmon, may be an exception to that rule. A U.S. Food and Drug Administration (FDA) ruling on an application for a fast-growing GMO salmon is expected later this year. State Rep. Cary Condotta (R-East Wenatchee), a sponsor of HB 2143, says that since Washington state already requires labeling salmon as either “farmed” or “fresh,” it only makes sense to also label “transgenic” fish. The bill also prohibits raising GMO fish with fins in state waters. The state’s aquaculture and biotech industries oppose HB 2143. In testimony this past Friday in Olympia, industry representatives charged that the bill was introduced to stigmatize genetic technology and generate fear. They also said that the bill is unnecessary and claimed state law already prohibits transgenic fish in aquaculture. And they reminded a committee hearing on Friday that state voters have already spoken in their 51-49 percent rejection of I-522 last November. Proponents said the state has to protect Washington’s native salmon population, and they claimed those fish stocks would be threatened by FDA approval of the first GMO animal approved for human consumption. FDA is reviewing comments on the issue and has not promised a delivery date for a decision. The application under consideration is from Aqua Bounty Technologies. Testing is also now under way in Washington state and New York, both apple-growing regions, of two varieties of the non-browning Arctic Apple. The Arctic Apple is being developed by Okanagan Specialty Fruits, Inc., of British Columbia. The Yakima-based Northwest Horticultural Council, representing the region’s fruit industry, wants USDA to reject the GMO apple to avoid marketing confusion for traditional and organic apples. The council says it has no concerns over food safety. Another bill in Olympia could apply to the Arctic Apple. A USDA decision on the Arctic Apple could come this year. September is here, and with it comes a new morning routine. A lot of kids are heading back to school this week, so instead of packing the car to go to the pool or the beach, it’s time to pack lunches. Be sure to thoroughly wash all fruits and vegetables under running tap water, then blot dry with a paper towel before adding them to the lunch bag. Don’t forget to also wash any produce with an inedible peel or rind such as bananas and avocados. Sly bacteria from the outer peel can be transferred to your child’s hands and then onto the edible part of the fruit. Remind your kids to throw out all perishable leftovers and disposable food packaging. To avoid cross-contamination, never reuse food packaging. Use insulated bottles to keep hot food out of the temperature “danger zone.” Carefully pour boiling water into an insulated bottle, then empty the bottle and fill it with hot food. Leave the lid on the bottle until it’s time for lunch. When making lunches using cooked meats (such as chicken salad), be sure to thoroughly cook all poultry, eggs and meat. Use a thermometer to check the internal temperature of meat. If you prepare lunch the night before, keep it cool in the fridge overnight. Choose an insulated lunch bag and use freezable gel packs to keep food cool until lunchtime. These products are usually quite inexpensive, and this small investment can go a long way in helping to prevent foodborne illness. Encourage your child to store his/her lunch in a refrigerator (if available). Print out these tips so that both you and your kids have a reminder to clean, separate, cook and chill. You can also visit the “Fight BAC!” website for more free educational materials on food safety. Follow these simple steps, and your school year will be off to a healthy and safe start! For additional resources or information, check out foodinsight.org. “Back to School? Keep Kid’s Lunches Clean, Cooked and Cool,” by Liz Sanders, MPH, student at UNC-Chapel Hill and IFIC Intern, first appeared on the International Food Information Council Foundation’s Food Insight Blog on Aug. 23, 2013. Republished with permission. In earlier days, small neighborhood grocery stores were situated on every corner while supermarkets were expanding rapidly. Competition wasn’t so fierce then and the little family-owned neighborhood stores, which focused on offering good service, never marketed themselves in newspaper ads or by any other means except word of mouth. One of the best services neighborhood grocery stores offered was home delivery. A customer would call the store and read a list of items over the phone to the clerk. The store would select all the items and then deliver the groceries to the customer’s house in a wagon, and the process would repeat itself the following week. This was a convenience for the customers and saved them time and the need to travel to the store having to do it themselves. Home delivery of groceries is alive and well in 2013 and it is growing more popular by the day. The difference today lies within the technology that is rapidly advancing the program to the next level in grocery shopping. Some early ventures into online grocery shopping were not very successful. One of the earlier start-up companies, Webvan, soon learned that unbearable costs in product storage and delivery were too much to handle. Amazon has been testing online food deliveries in the Seattle area since 2007 and is now expanding into Los Angeles. Other locations, such as San Francisco, are in the planning stages. Walmart is also cautiously testing online groceries/general merchandise in the San Francisco area. It may have an advantage in logistics because it can ship orders directly from the chain’s many store locations. However, testing is the guideline and determining factor for a successful program. Derrell Kelso, owner and president of Onions Etc. in Stockton, CA, discussed the threats supermarket brick-and-mortar operations could face from online grocers. Maintaining the integrity of fresh items is a huge challenge in the online shopping business. Some companies use refrigerated trucks, while others use dry ice and chill packs to control product temperature. Customers demand convenience and convenience dictates choice. Choice dictates that there are different channels of sales, hence the ability to go to the store one day and to order online or with a mobile device the next day — or consumers will go somewhere else where they can do what is easiest on any given day. Brick-and-mortar supermarkets have had a difficult time trying to meet the online grocery shopping challenges. It’s a changing trend in consumer shopping. The reawakening of home delivery grocery shopping is generating new interest these days. This could be another battle in the works for that “fight for stomach space,” Kelso added. Ron Pelger is the president and CEO of RonProCon, a consulting firm for the produce industry, and the chairperson of FreshXperts LLC, a consortium of produce professionals. He can be reached by phone at 775/853-7056 or by email at ronprocon@gmail.com, or check his details on freshxperts.com for more information.